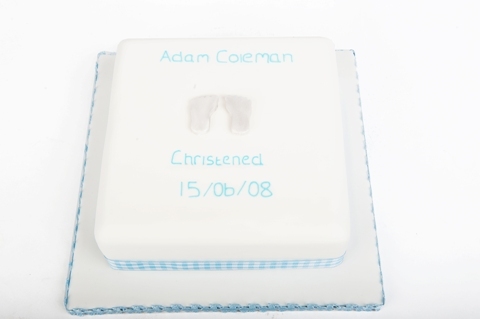 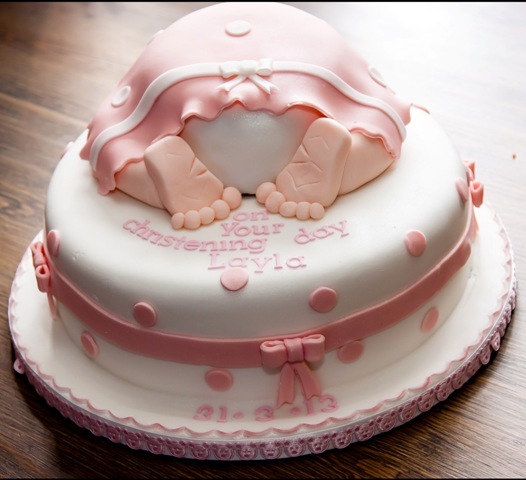 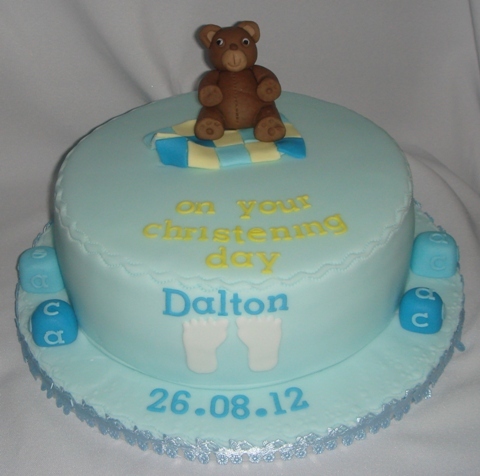 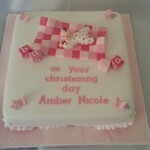 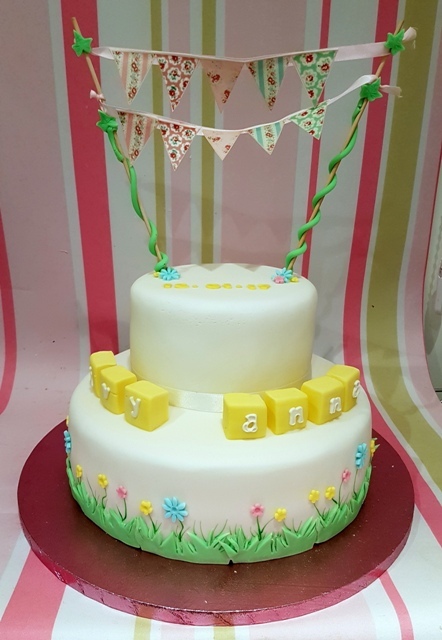 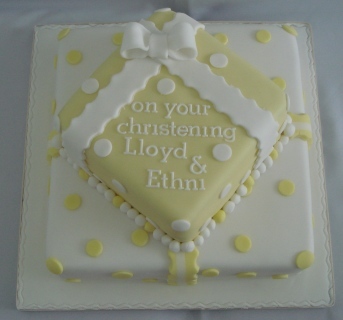 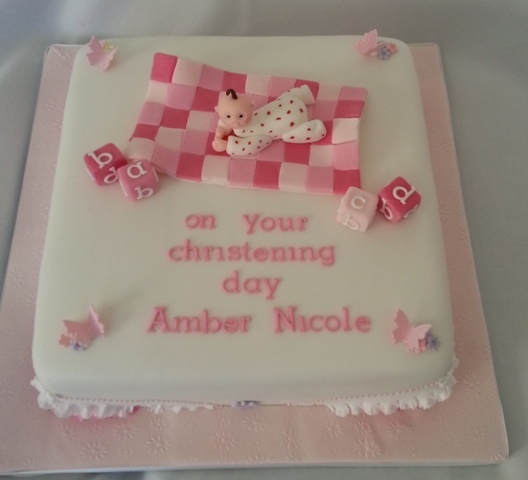 Christening cakes are made with either vanilla sponge, flavoured sponge with flavoured icings by sugar and crumbs or rich fruit cake. 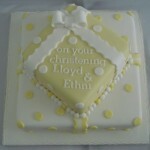 They are usually single tiers or can be multiple tiers but I have made more contemporary shaped designs. 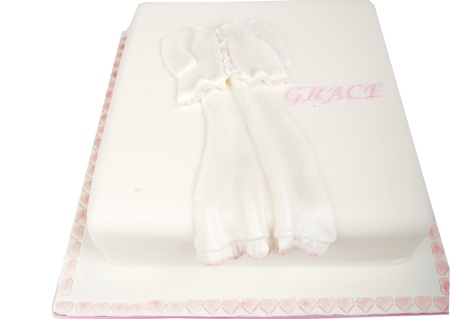 They are finished with sugarpaste/fondant covering to your specific requirements. 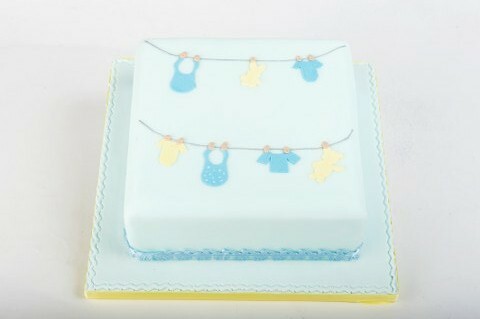 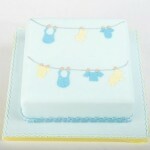 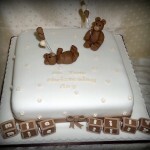 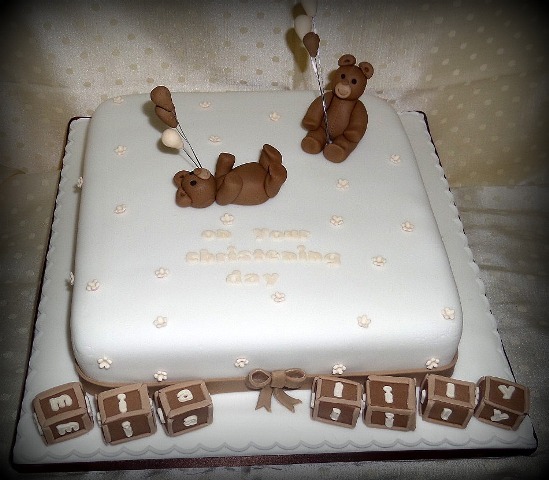 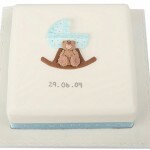 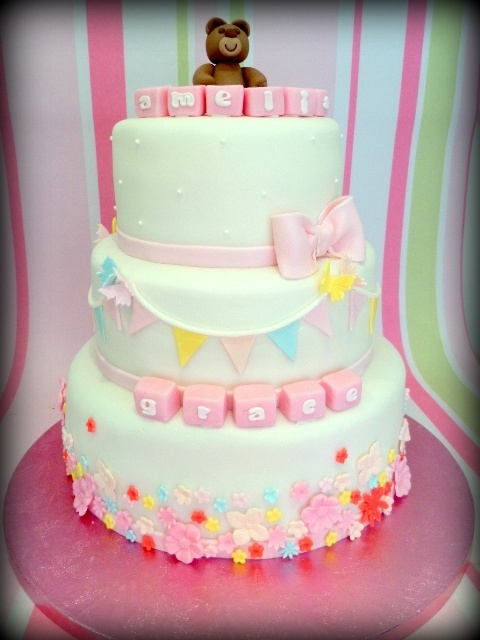 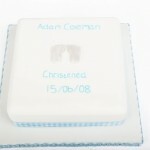 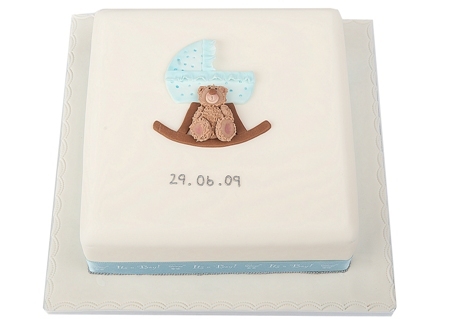 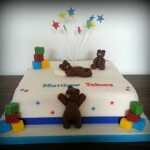 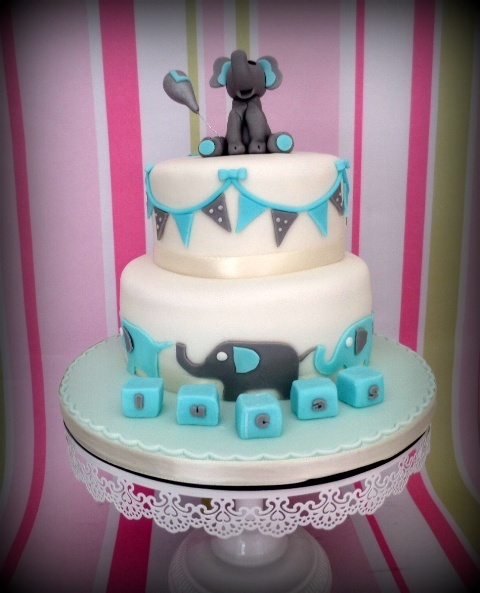 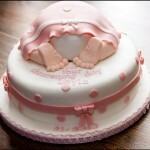 The cake can then be decorated with hand made models or shapes; for example blocks, robe, trains, cribs etc. 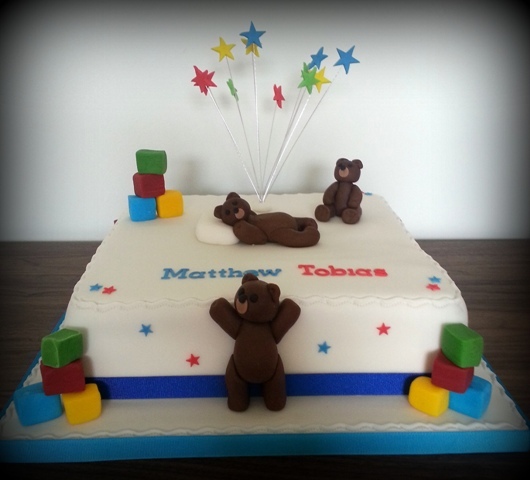 Consultations and designs can be arranged at your convenience because as a mum i know how important this day is and how challenging finding the time in the day can be. 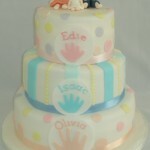 Please give me a call on 07842 265346 and we can arrange a suitable time.